The most influential singer of the 20th Century returns with the new live collection ‘Standing Room Only’. For those not fortunate enough to see Sinatra in performance, this is the closest fans can get to the greatest entertainer the world has ever seen. The 3CD package includes Sinatra’s rare and previously unreleased performances at The Sands, Las Vegas (Jan 28, 1966) where Frank has a 14 year residency, his show at The Spectrum, Philadelphia (1974) where Frank performed in-front of a 17,000 strong crowd, and his show over a decade later at Reunion Arena, Dallas (1987). Ultimate Christmas showcases 20 festive and warm holiday classics from Sinatra’s Capitol and Reprise catalogs. The new collection also honors the Sinatra Family’s holiday traditions with Frank joined by his children, Nancy, Tina and Frank Jr., on three songs. Ultimate Christmas is available now for preorder in CD, digital, and 180-gram 2LP black vinyl editions, as well as a limited 2LP white vinyl edition exclusively offered for preorder on the Sinatra Store and UDiscover Music. Filmed on June 1st, 1962, this Royal Festival Hall show was a concert performed before royalty in London as part of a worldwide tour that Frank Sinatra undertook to raise money for children’s charities. 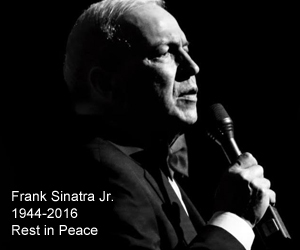 Sinatra is accompanied by the Bill Miller Sextet in performances of songs including At Long Last Love, I’ve Got You Under My Skin, I Get A Kick Out Of You, Ol Man River, I Could Have Danced All Night and many more. Filmed in June 1980 at New York City’s famous Carnegie Hall, this show captures Frank Sinatra performing with a full orchestra. The concert was shortly after the release of his landmark Trilogy album and showcases a number of songs from that album including Summer Me, Winter Me, Street Of Dreams, You And Me, The Song Is You and Theme From New York, New York alongside Sinatra classics such as The Lady Is A Tramp, Come Fly With Me and I’ve Got You Under My Skin. Filmed in May 1978 at Caesars Palace. Frank Sinatra was always at home in Las Vegas and this is a wonderfully relaxed and entertaining performance. Highlights include All Of Me, Someone To Watch Over Me, Something and Send In The Clowns, sparkling renditions of Baubles, Bangles And Beads and My Kind Of Town along with other Sinatra standards. Filmed in December 1979, this is an all-star gala tribute to the Chairman Of The Board celebrating forty years in show business Among those saluting Sinatra are Sammy Davis Jr, Cary Grant, Dean Martin, Tony Bennett, Gene Kelly, Harry James, Jimmy Van Heusen and Sammy Cahn. The evening comes to the perfect conclusion with Frank himself taking to the stage to perform classics including Theme From New York, New York, I’ve Got The World On A String and It Was A Very Good Year. Filmed in 1984, Portrait Of An Album follows Frank Sinatra as he records his album L.A. Is My Lady with producer Quincy Jones, who also conducts the sessions. There are full performances, caught live in the studio along with interviews with Quincy Jones, Lionel Hampton, lyricists Alan and Marilyn Bergman and engineer Phil Ramone. Also captured is Michael Jackson’s visit to the studio to meet Frank Sinatra, a truly magical moment. Narrated by Tina Sinatra, this TV compilation brings together memorable moments from Frank Sinatra’s career on television, in the studio and in concert through the fifties, sixties, seventies and eighties. Many of his best loved songs are featured including Fly Me To The Moon, Witchcraft, I’ve Got You Under My Skin, My Way, Strangers In The Night, That’s Life, The Lady Is A Tramp and many more.